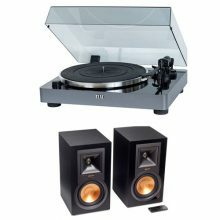 Tangent Ampster X4 Micro System is ideal as a starter system for a student or music lover who doesn’t own CDs but prefers to stream their tracks via Bluetooth from their smartphone or tablet, or someone who’s followed the vinyl trend and wants to enhance the audio quality of their new deck, by connecting to a stylish and versatile hi-fi system. 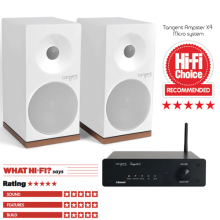 UK based magazines Hifi Choice and What Hifi both awarded Tangent Ampster X4 Micro System the maximum 5 stars out of 5 stars. The full reviews can be viewed in our review under media. 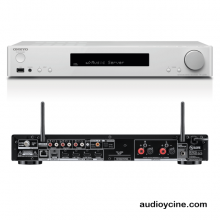 The Ampster BT is a micro sized amplifier with a big sound and a host of connectivity options including wireless Bluetooth 4.0, Digital optical input for use with a TV, Analog RCA and AUX inputs and a Sub output. Compact but powerful, the Ampster BT amp provides 2 x 50 Watts of high-end audio quality controlled by a stylish remote to switch between sources and volume level. 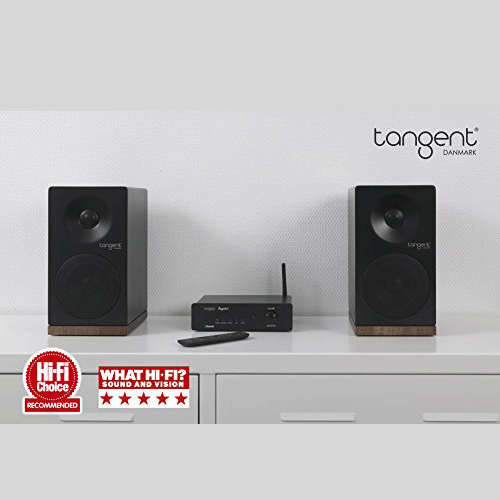 Boasting a radical, contemporay cabinet design, the partnering Tangent Spectrum X4 loudspeakers provide a compact standmount or bookshelf solution, using attractive midnight black or Polar white satin finishes with attractive walnut base plinths. The X4s feature a wide dispersion 25mm soft fabric dome tweeter together with 110mm long throw paper coned bass drivers, both protected by colour matched mesh grilles.